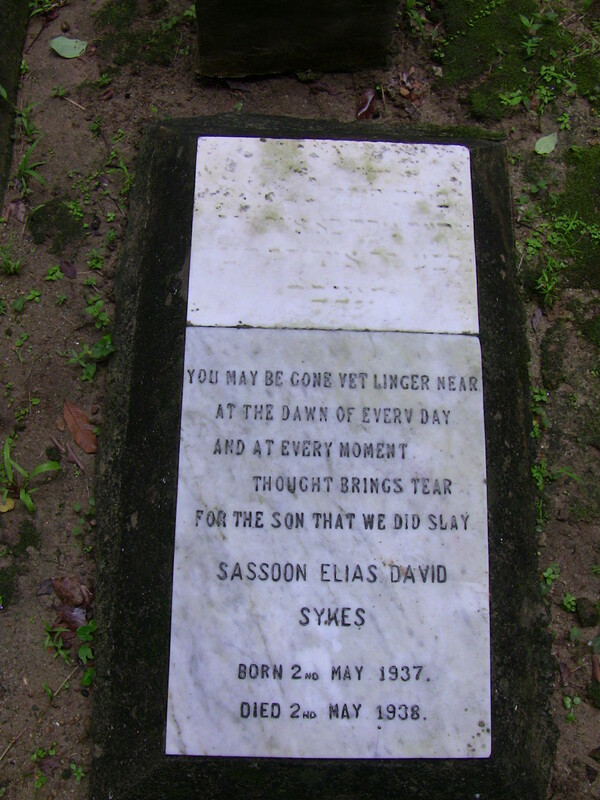 Cause of Death His father had been sick earlier, which may explain why his stone’s inscription says “for the son that we did slay”. Other Family Data His father was the cousin of Sophie Sykes (1B11). He was the first of his father’s nine children. A younger brother (#5), also named Sassoon Elias (Sykes), lives in Unionville, Ontario.